Did you know Malta's vaccine schedule? Ingredients: aluminum phosphate, polysorbate 80, sucrose, formaldehyde, glutaraldehyde, bovine serum albumin, 2-phenoxyethanol, neomycin, polymyxin B sulfate, modified Mueller’s growth medium, ammonium sulfate, modified Mueller-Miller casamino acid medium without beef heart infusion, Stainer-Scholte medium, casamino acids, dimethyl-beta-cyclodextrin. MRC-5 cells (a line of normal human diploid cells), CMRL 1969 medium supplemented with calf serum, Medium 199 without calf serum, modified Mueller and Miller medium. Ingredients: aluminum hydroxide, yeast protein, sodium chloride, disodium phosphate dihydrate, sodium dihydrogen phosphate dihydrate. Ingredients: soy peptone, dextrose, amino acids, mineral salts, phosphate buffer, formaldehyde, potassium aluminum sulfate, amorphous aluminum hydroxyphosphate sulfate, yeast protein + Chick embryo cell culture, WI-38 human diploid lung fibroblasts, vitamins, amino acids, fetal bovine serum, sucrose, glutamate, recombinant human albumin, neomycin, sorbitol, hydrolyzed gelatin, sodium phosphate, sodium chloride. Ingredients: vitamins and mineral salts, yeast protein, yeast DNA, deoxycholate, phosphorothioate linked oligodeoxynucleotide, phosphate buffered saline, sodium phosphate, dibasic dodecahydrate, monobasic dehydrate, polysorbate 80 + aluminum phosphate, polysorbate 80, sucrose, formaldehyde, glutaraldehyde, bovine serum albumin, 2-phenoxyethanol, neomycin, polymyxin B sulfate, modified Mueller’s growth medium, ammonium sulfate, modified Mueller-Miller casamino acid medium without beef heart infusion, Stainer-Scholte medium, casamino acids, dimethyl-beta-cyclodextrin. MRC-5 cells (a line of normal human diploid cells), CMRL 1969 medium supplemented with calf serum, Medium 199 without calf serum, modified Mueller and Miller medium. Ingredients: chick embryo cell culture, WI-38 human diploid lung fibroblasts, vitamins, amino acids, fetal bovine serum, sucrose, glutamate, recombinant human albumin, neomycin, sorbitol, hydrolyzed gelatin, sodium phosphate, sodium chloride. Let me save you some time, none of the ingredients contained in vaccines are safe, many are stored in the body, and all of them contribute to health conditions, if not today … then tomorrow. And honestly, what concerns me the most about this is that children today seem to deal with many more health conditions than they did 50+ years ago. So, before we go any further, let me first say that I completely recognize that the topic of vaccinations is a hot one and something that people feel very passionate about! Please remember, it is a personal choice, and I don’t want anyone to feel judged or shamed. There’s a lot of information regarding vaccinations, vaccine injuries, the enormous amount of profit in the vaccine industry and of course, all of the ingredients that come standard in every vaccine. As you can see, from the list above, some of these ingredients are known toxins, and some are even linked to autoimmune diseases, respiratory issues and cancer! Oh, and these ingredients are easily excreted from the body … except that they’re not. Fully functioning kidneys are required to eliminate many of these ingredients and a child’s kidneys are not fully developed until they are 1-2 years old. Good bowel flora (which ingredients in the vaccine compromise) is required for proper elimination of toxic substances, and the skin … well you'll see the attempts of the skin to eliminate these toxins, it’s called eczema, and it’s not “normal". 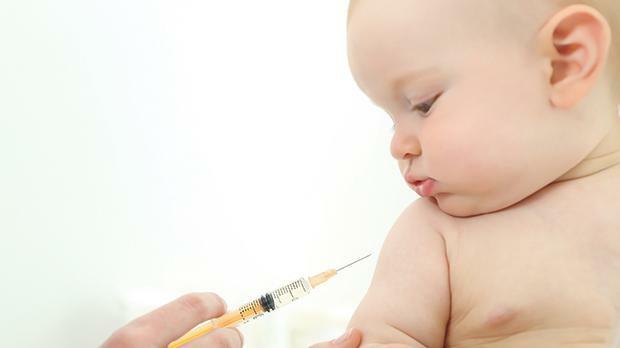 Before the age of 4, children will get 9 vaccines if following Maltas' schedule. Once you get an idea of the ingredients, you can see why the body could use some help in detoxifying. These substances are not easily eliminated from the body, especially in children under 2, whose kidneys, liver and immune systems are not fully developed. Detoxification bath – This bath can be used to rid the body of viruses, bacteria, cellular waste, metals and chemicals from the body. 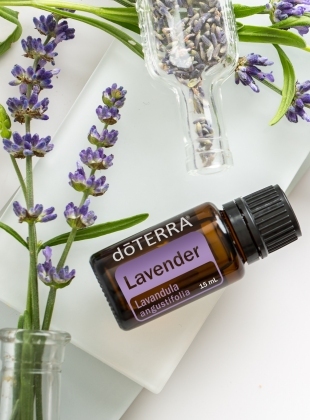 Add 5 drops of "Lavender EO" to your child’s bath with a 1/4 cup of "Epsom salt". You can also do this as a foot bath. Probiotics – A probiotic is essential to restore gut flora and balance the immune system. This is very important especially if a child experienced an adverse reaction to a vaccine (like eczema, ear infections, arthritis, diabetes, gastrointestinal disease, etc.). I love PB Assist+ or for children there is the PB Assist Jr.
Omega Oil – This is especially important to take if your child suffered an adverse reaction or had MMR vaccine. Restoring the balance of omega-3 to omega-6 fatty acids is an important step in keeping the child's body healthy. Studies have shown that increasing omega-3 fatty acid consumption has a positive effect on cardiovascular health and brain function, and helps support a normal immune response. Cilantro Therapy – Dr. Yoshiaki Omura discovered that the leaves of the coriander plant can accelerate the excretion of mercury and aluminum from the body. If you give the body what it needs, it will heal itself, and cilantro has a molecular bond that binds to heavy metals and pulls them from the body. More info here on how this therapy was accidentally discovered HERE. Cilantro EO can be used in different ways in order to have a successful cleanse. Diffusion: Use three to four drops in the diffuser of your choice. Internal use: Dilute one drop in 120ml of liquid. Topical use: Apply one to two drops to desired area. Dilute with doTERRA Fractionated Coconut Oil to minimize any skin sensitivity. You can also do a detox bath with two drops of cilantro and epsom salt. Essential oils: Zendocrine, Frankincense, OnGuard, Geranium, Helichrysum, Cilantro and Fractionated Coconut Oil. Also here is a video WATCH for the Immune Support Blend. How long do I follow the protocol? Ideally, 90 days before and after the vaccination. Can I mix all of the oils together in a roller bottle? YES, absolutely. What about newborns and infants? It recommended to at least not vaccinate until the age of 5. However, if you choose to, then use 1 drop of each oil recommended in a 10ml roller bottle, topped off with fractionated coconut oil. For children under 3 years of age, you would only need 1/2 a drop of each oil and diluted with 1 tsp of fractionated coconut oil. Can this protocol be used for adults? YES, this works great of adults too. In fact, it's recommend detoxing on a consistent basis. How may times a week do i do a detox bath? Listen to your body, it's recommended ideally about 3 times a week. If you haven’t established a relationship with a natural medicine practitioner, I would highly recommend it. These individuals are trained in nutrition and alternative therapies and can provide a plan to address your child’s individual needs. If you don’t know of one contact us and we can guide you to one. The www.mrsproutmalta.com site is not designed to and does not provide medical advice, professional diagnosis, opinion, treatment or services to you or to any other individual. Through this site and linkages to other sites, provides general information for educational purposes only. The information provided in this site, or through linkages to other sites, is not a substitute for medical or professional care.